ASHP Daily Briefing is the official briefing of the American Society of Health-System Pharmacists and is a highly valued member benefit. It is delivered Monday through Friday by 9 a.m. EST. The American Society of HealthSystem Pharmacists is the primary national organization for pharmacists practicing in various components of health care systems. Nearly 70% of ASHP members work in hospitals, including teaching and non-teaching hospitals, critical access hospitals, and federal government hospitals. 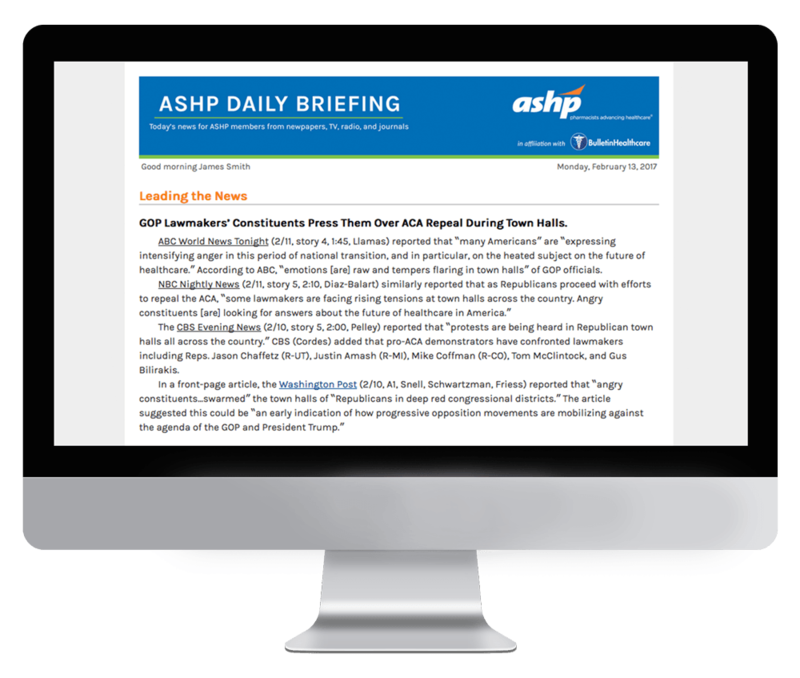 Subscription to ASHP Daily Briefing is exclusively limited to ASHP members. If you are a member of ASHP and would like to receive this briefing, please reach out to the association directly.